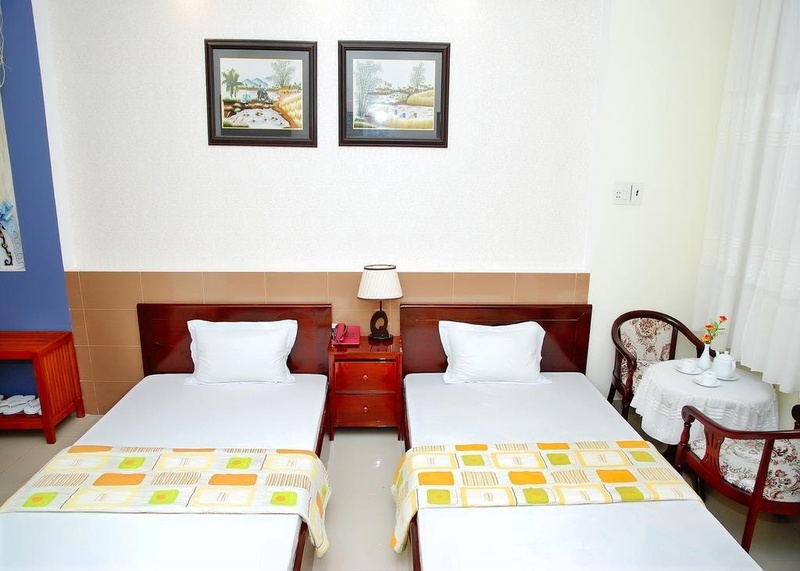 Stop at Hai Chau - Chau Doc Hotel to discover the wonders of Chau Doc (An Giang). The hotel has everything you need for a comfortable stay. To be found at the hotel are free Wi-Fi in all rooms, Wi-Fi in public areas, car park, room service, restaurant. Guestrooms are fitted with all the amenities you need for a good night's sleep. In some of the rooms, guests can find internet access – wireless (complimentary), air conditioning, wake-up service, desk, mini bar. The hotel offers various recreational opportunities. No matter what your reasons are for visiting Chau Doc (An Giang), Hai Chau - Chau Doc Hotel will make you feel instantly at home.